The story of Alabama is a rich heritage of struggle and progress. Our state has confronted history's most pressing social and political conflicts and cultivated some of its most distinguished leaders. Emerging economic development and rich intellectual resources confirm the state's potential, yet great inequity remains. Alabama continues to be one of the poorest states in the country. However, building upon and deeply influenced by the legacies of Alabama's past, the story of Alabama can and will be one of hope and progress for each of its children. Impact Alabama was founded in 2004 as the state's first nonprofit dedicated to developing substantive service-learning and leadership development projects for college students and recent college graduates. Growing from a team of five in 2004 to more than fifty in 2014, we have quickly grown into the premier nonprofit destination for high-achieving students and graduates to make a difference in their communities. As a celebration of our ten-year anniversary, and after serving hundreds of thousands of families in all sixty-seven counties in Alabama, we made the decision to expand Impact Alabama to other states and communities. Impact America was formed in 2014 with the mission to engage a generation for change. Want to be a part of the Impact Alabama story? Apply for our full-time Corps Program. Want to get involved with Impact Alabama? The Impact Corps Program is a yearlong service and leadership program designed to place talented, committed recent college graduates directly into communities we serve. Corps Members plan and execute all initiatives that operate in their state of service as well as recruit and manage the service of college students as they participate in those initiatives. You'll learn about poverty through lenses of education, health, and economics—all the while making a real difference in the lives of families living in poverty. You can be a part of the story through a year of service with Impact Alabama. Even as Impact continues to expand across the nation, our hearts will always belong here in Alabama. Read more about all the ways we're working for the good people of our sweet home state. Tuscaloosa News Features CollegeFirst Institute Held on Campus at UAThe Tuscaloosa News features students from Tuscaloosa-area high schools and college mentors from The University of Alabama participating in the CollegeFirst AP Institute. 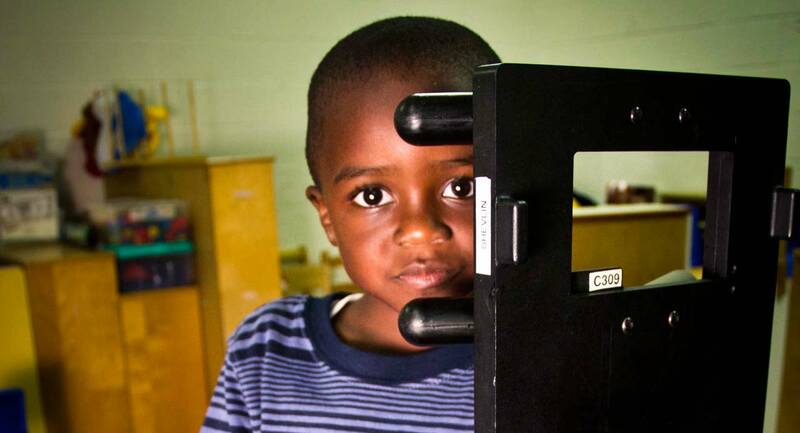 Impact Alabama is housed and supported by the Center for Ethics & Social Responsibility at The University of Alabama. Maynard, Cooper & Gale has provided office space and support to Impact Alabama since its inception in 2004. UAB provides office space for Impact Alabama's initiatives. Architecture Works provides in-kind space for our daily SpeakFirst practices during the academic year. A+ College Ready has developed a the curriculum that CollegeFirst utilizes with our students and also provides AP teachers during the summer Institute.